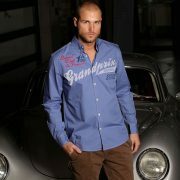 The top shirt in the new GPO Collection Go Gulf! 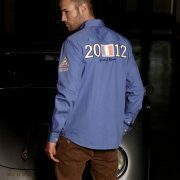 Classic design with fine, white mottled writing on the chest and red stitching in vintage style “Speed Club de France”. Great knitted and stitched on set-up on the back. 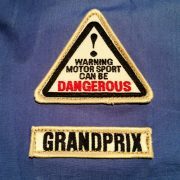 Nice slogan on the sleeve (Motorsport can be dangerous), that you can often run into at the “Festival of Speed“ in Goodwood. 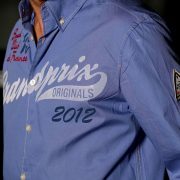 Premium fine dove blue material with a sporty look.